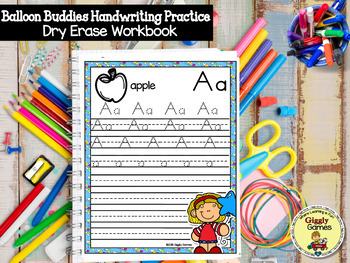 This Handwriting Practice Book has all the letters A-Z both uppercase and lowercase to help students practice their handwriting skills. 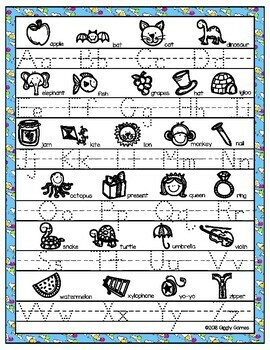 All pages include dotted line formation and also includes a full sheet alphabet page. 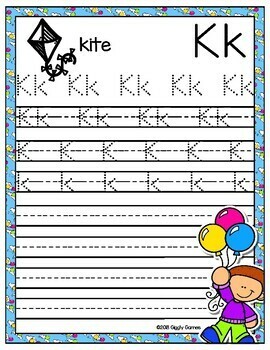 Each page includes a graphic to help reinforce the sound of the letter also. 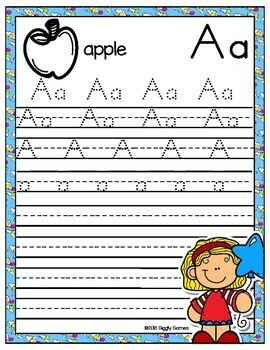 Print each page and laminate for a fun and educational resource to be used over and over again. For the name section on the front cover once laminated you can use a Sharpie to write the student's name and it can easily be removed for later use by using rubbing alcohol. Print as many as you need for your students!! !